Vanuatu is an exotic destination that draws the attention of anyone seeking a relaxing family vacation, a luxurious getaway, or a romantic honeymoon. Nestled in the South Pacific Ocean, this archipelago, which is of volcanic origin, is sure to be an adventure for anyone who enjoys international travel. When traveling to Vanuatu, be sure to pack a swimsuit and enjoy surfing, snorkeling, and relaxing on sandy beaches of this beautiful island. This island paradise gives tourists the opportunity to indulge in warm tropical sun and amazing South Pacific scenery. Visitors in Vanuatu will be sure to enjoy the traditional string music, which combines guitars, ukulele, and popular songs. Travelers interested in responsible tourism are also presented with a wonderful opportunity to give back when visiting this country. 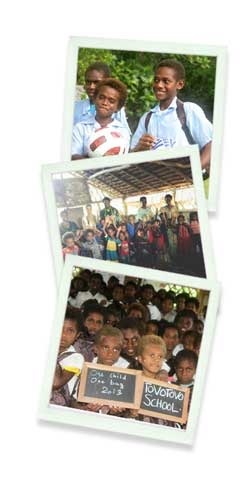 Voluntourists and vacationers looking to travel to Vanuatu are presented with a variety of opportunities to help charities and non-profits in this small island region. No matter the size of the island, there is always need and ways to give back to the community. Those interested in making donations to service groups or school projects in the area can donate school supplies, including pens, pencils and children’s books written in English. Others may choose to donate medical supplies to the nearby nursing station; this station always needs medical aids such as dressing materials, antibiotic and hydro-cortisone cream, band aids and dental hygiene products.